Every child deserves to be loved and valued just for who they are. 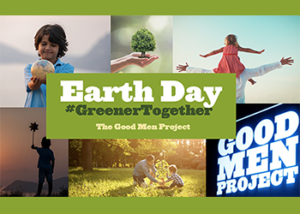 During my decade plus experience as a foster father, I have had over four dozen children come to live in my home. Some children have stayed only one day, while others have stayed as much as a year and a half while in foster care. One thing I have learned while taking care of these children in need is that, above all, these children simply wish to be loved in a healthy and safe manner, loved unconditionally for who they are. As I wrote in my book, Fostering Love: One Foster Parent’s Journey, many children in foster care will try to resist this love, and tragically even try to sabotage it in some way. To be sure, there are those children who are difficult, who are challenging, and who are exhausting. Yet, each deserves to be loved unconditionally for who they are. As a foster parent, this is one of my greatest responsibilities. Sadly, many children in come from homes where violence reigned. Profanity, abuse, and harsh words filled the air that surrounded a child. Additionally, where love was to be a child’s cornerstone, there was neglect instead, as the basic needs of the child were not met, and where the emotion of love was instead substituted with just the opposite. Along with this, there may be those foster children who have had poor examples of fatherhood in their lives, resulting in poor examples of so called “manliness.” There are those who may believe that a real man does not express love, does not state that he loves someone, or even grant a hug to another under the misguided belief of weakness. For a child who may have been abused, beaten, or neglected, this type of love is most important. Without this type of love, a child will not form necessary and healthy attachment with others, resulting in a number of attachment disorders. Emotional difficulties such as a of lack of self worth, trust, and the need to be in control often result in the lack of unconditional and healthy parental love. As anyone who has worked with foster children will tell you, most foster children face an enormous amount of emotional issues, many times stemming from the lack of healthy love. A dad is one who is not afraid to say “I love you” to his wife, to his children, and to his children. These simple words, these three words, can make a significant difference to a child who has only known violence and abuse. With this in mind, it is especially important for a dad to communicate love to their children at all opportunities, and in a variety of ways. A dad is one who is not afraid to say “I love you” to his wife, to his children, and to his children. These simple words, these three words, can make a significant difference to a child who has only known violence and abuse. Along with this, dads need to be nurturing to the children in their home, as well. There are those moments when I am weary, and feel I have very little love and compassion to give. Indeed, there are those moments when I must pray for patience with a child who has spent hours screaming in rage at my wife and me. Yet, when needed, foster dads need to be comforting to a child in need, gentle in his words and actions. After all, this may be the only positive example of a loving father that the foster child may ever have. 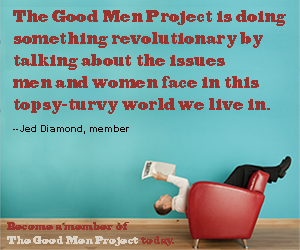 Would you like to help us shatter stereotypes about men? 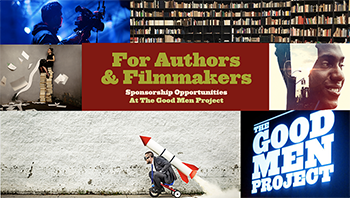 Receive stories from The Good Men Project, delivered to your inbox daily or weekly. Dr. John DeGarmo is an international expert on foster care. He has been a foster parent for 15 years, now, and he and his wife have had over 50 children come through their home. He is a consultant to foster care agencies, child welfare organizations, and legal firms, as well as a speaker and trainer on many topics about the foster care system. He is the author of several foster care books, including The Foster Parenting Manual: A Practical Guide to Creating a Loving, Safe, and Stable Home and writes for several publications. He can be contacted at [email protected], through his Facebook page, , or at The Foster Care Institute.